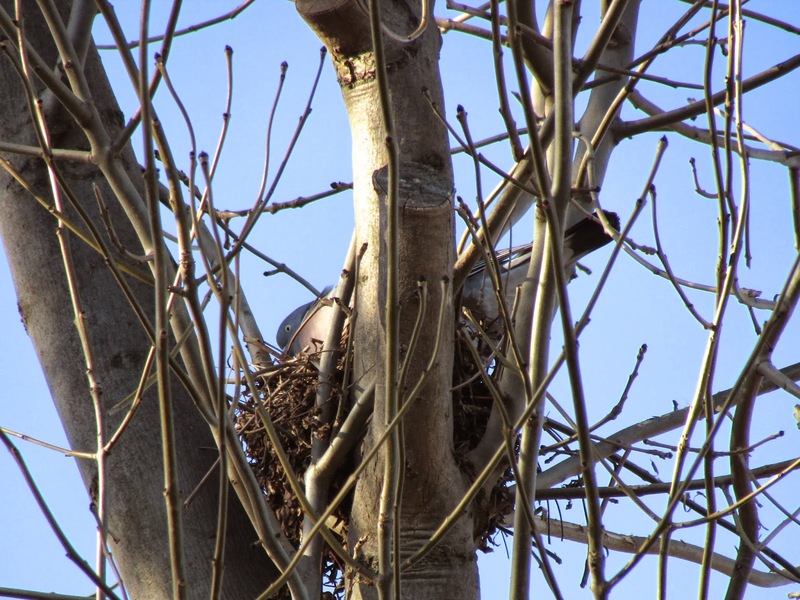 This Woodpigeon was nest calling 'coo, crrroooo!' from a fork in a still bare ash tree atop a nest (possibly an old one). Male Woodpigeons sign like this to their mates pointing to a suitable nest site and apparently also stimulating ovulation. Read more about this calling behaviour in this post from The Rattling Crow archives.